If you access browsestudio.com, you will be greeted with a sleek website interface that says you can “travel through the Internet with ease” with BrowseStudio. This claim makes an impression that BrowseStudio is some useful tool that can improve your web browsing experience, but you have to realize that this program is nothing but an adware application that will cause various computer security issues. It would be in your best interests to remove BrowseStudio from your system at once. Also, do not forget that adware programs usually get installed with other unwanted applications, so scan your PC with licensed antispyware tool. One look at the main BrowseStudio’s website is enough to tell where this application comes from. 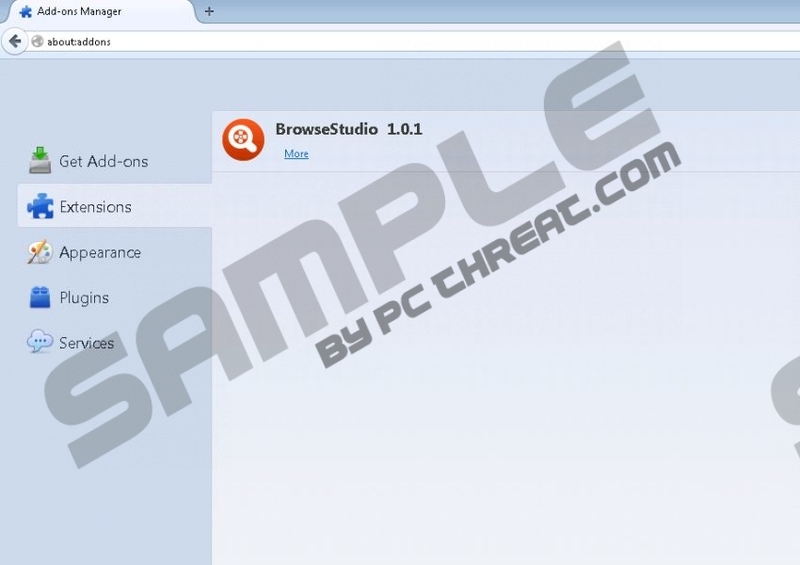 BrowseStudio is one of the programs from the SuperWeb family of adware applications. As such, it is identical to BetterEnhance, Bliss Search, Key Lime Lizard, KingBrowse, and many other applications that have terrorized computer users worldwide over the course of this year. It is more than obvious that you cannot download BrowseStudio at the official website because the download link is simply dead. Hence, it is clear that this program gets distributed bundled with additional applications via third-party installers. Consequently, if you have BrowseStudio installed on your computer, it is very likely that there are more adware applications on board. There is no need to panic if BrowseStudio enters your computer. It is not a malicious computer infection, so it will not steal your banking data or cripple your system. BrowseStudio simply adds an extension to your browser and displays annoying commercial ads. The content of these ads is based on your web browsing history. That is true; BrowseStudio collects information on what websites you visit in order to generate customized ad content. The problem is that the application outsources the ad content from third-party advertising networks, so it is not responsible for the safety of the ads. Therefore, users are strongly discouraged to click anything provided by BrowseStudio. Although you would most probably be redirected to an online marketing website, you should not rule out the possibility of malware distribution as well! BrowseStudio is a potential computer security issues that should be taken care of immediately. Please remove BrowseStudio from your system and launch a full PC scan with SpyHunter free scanner. A full system scan will help you determine other potentially unwanted programs that are most probably installed on your computer. As mentioned above, adware programs travel in groups. Therefore, you need to take your system security seriously by terminating BrowseStudio and other related applications. Finally, invest in a licensed computer security tool to protect your system from similar threats in the future. Select Uninstall a program and remove BrowseStudio. Go to Uninstall a program and remove BrowseStudio. Open Add or remove programs and uninstall BrowseStudio. Quick & tested solution for BrowseStudio removal.